The Dark Knight Marketing department really knows how powerful the internet is. With the launch of the much awaited viral site The Gothem Times last friday, 4 new viral sites are also revealed inside the pages of the newspaper. The first one is the We are the Answer site. It looks like a crime fighting campaign sponsored by the Gotham District Attorney Harvey Dent. The visitors are asked to submit crime incident reports to help GCPD fight the growing crime rate in the city. The other one is the TheHaHaHaTimes. It is the vandalized version of the Gotham Times. I'm very sure that Joker has another message for us. We will keep you posted if we got some more updates from this. 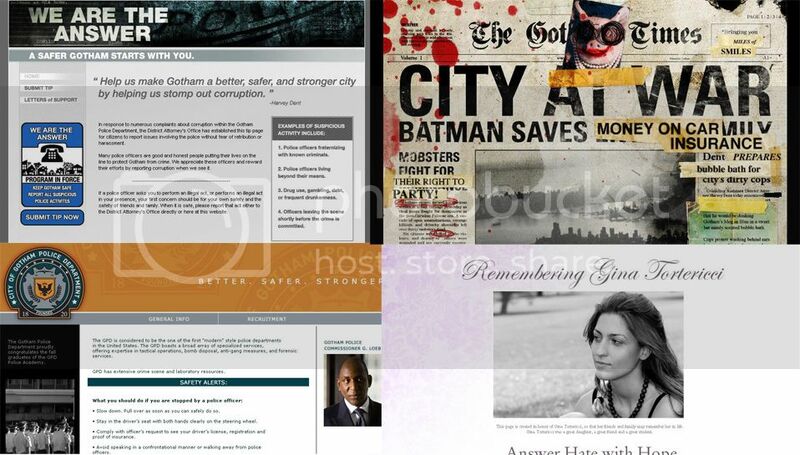 And lastly two other sites, a memorial to a girl named Gina and the official site of Gotham City Police Department. Its a parade of sites for The Dark Knight. Visit these sites and you can get interesting stuffs about the movie.